This comprehensive reference work is designed to be a single source to which readers may turn for guidance on dramatic theory and practice. It therefore concentrates on critical and technical concepts and terms rather than on theatre history or biography. The book contains some 1300 entries varying in length from a few words to several hundred. The terms included relate to the forms of drama (e.g. epic, mime, farce, comedy of manners, tragi-comedy, etc. ); to different kinds of stage (thrust, picture-frame, arena, etc. ); to technical stage terms (tabs, proscenium arch, sightlines, etc. ); to acting terms, including colloquialisms (fluff, corpse-as well as duologue, soliloquy, cross below, upstage, etc.) They also include the critical terms of important theoreticians (e.g. superobjective, magic 'if', throughline, alienation, montage) and the obvious foreign terms (hamartia, peripeteia, etc.). Dramatic movements and styles are described (naturalism, expressionism, neo-classical, Jacobean, etc. ), together with terms relating to costume (e.g. 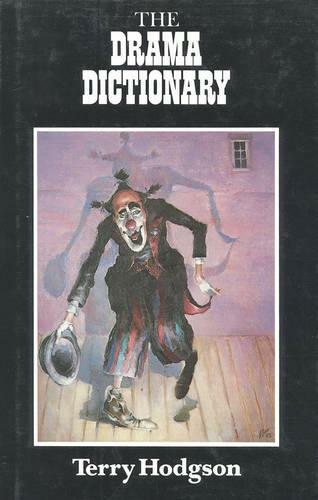 buskins), character types (of, say, the Commedia dell'Arte) and dramatic structure (climax, curtain, pace and tempo, episode, chorus, etc.). The entries are fully cross-referenced, and are supported by ample suggestions for further reading and a selection of line drawings illustrating key points in the text.